May 28, 2013  The justices have refused to disturb a lower court decision that barred Indiana from stripping Medicaid payments to the organization. Six federal courts have ruled that targeted defunding is illegal. 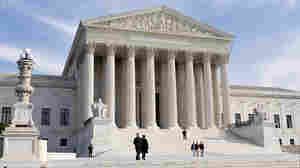 This was the first case to reach the Supreme Court. March 22, 2012  At least five top officials quit the Dallas-based organization after it took a decision — since reversed — to eliminate funding for Planned Parenthood. And there have been calls for the group's founder and chief executive to resign. February 7, 2012  Two anti-abortion groups say funding irregularities have been found in various state and federal audits of Planned Parenthood. The groups urged Congress to continue an investigation of Planned Parenthood. February 7, 2012  The new poll suggested that Mitt Romney might be "playing with fire," according to the polling firm's director, by opposing the rule since a plurality of voters, including Catholics, said his stance would make them less likely to vote for him. February 7, 2012  The Susan G. Komen Foundation just confirmed to NPR.org's Scott Hensley that Karen Handel has resigned from her post as the organization's senior vice president of public policy. February 3, 2012  The nation's largest breast cancer charity now says it will continue giving grants to Planned Parenthood. 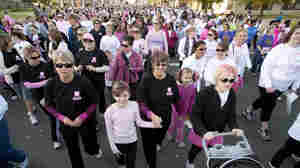 But public relations specialists say the Komen foundation will have a tough time rebuilding its nonpartisan reputation. 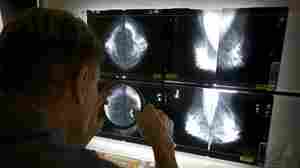 February 3, 2012  "We want to apologize to the American public for recent decisions that cast doubt upon our commitment to our mission of saving women's lives," Komen CEO Nancy Brinker says.